Kate Fox is a stand up poet and writer. Sometimes described as a spoken word artist and a comedian. She is also a PhD Candidate in Performance at the University of Leeds. She’s looking at some of her obsessions; solo stand up performance, Northernness and how comedy and creativity can turn the world upside down- or keep it still (more information). She is currently making two comedy shows for Radio 4 called “The Price of Happiness”. She is Writer in Residence at Feversham College in Bradford for the charity First Story and has produced (nearly) two anthologies with a talented and funny group of Muslim girls. She’s led many participatory arts projects and school and community writing projects- recently including ones for BBC1’s Great North Passion, Youth Homeless North East and the Northern Children’s Book Festival. Her poetry residencies have included: Saturday Live on Radio 4 from 2007-14, the Yorkshire Festival, 2014, the Glastonbury Festival 2013 and the Great North Run, 2011. She also writes topical and personal pieces for Standard Issue magazine and The Journal newspaper. She sometimes runs spoken word gigs and projects including, at the moment, Bloomin Words Cabaret with the White Rose Book Shop in Thirsk and the Verbal Essences Cabaret at the University of Leeds. 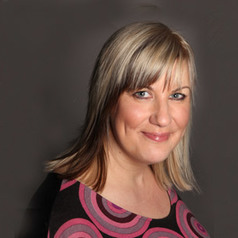 She writes prose too and originally trained as a radio journalist, reporting and newsreading for many stations in the North of England from 1998-2006.